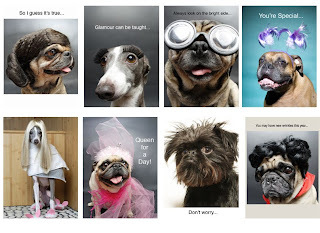 Pet Drama: My New Greeting Cards!! I am very happy to announce that I have just signed with Recycled Paper Greetings and they will be publishing my greeting cards all over the US and Canada! Next month my first 8 designs hit the stores. Look for them in Target and Walmart stores, among others. Special thanks to my models and muses Carlos, Reya, Parker, Obie, Vido and Sancho. Yay!!! Big can't wait to model! !